Southern Business Women's Network - Be inspired by the journey of Jan Bull at the New Darcy's Cafe & Wine Bar! 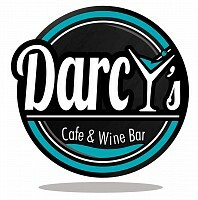 Be inspired by the journey of Jan Bull at the New Darcy's Cafe & Wine Bar! The month of November is set to be a month of inspiration and new experiences! Come and dine at the newly opened Darcy's Cafe & Wine Bar, next to the cinema, in Leongatha, where you will hear from our lovely guest speaker, Jan Bull, of Foster's Little Bookshop. Jan willbe sharing her worklife journey and experiences, where she has been to where she is today.